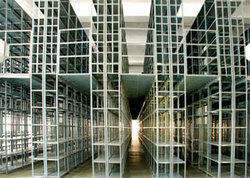 We are Manufacturer and Fabricator of two tier racks that known for Multi level Racking or higher racking system. These are specially designed to use the maximum available height to store products, there by using less space. 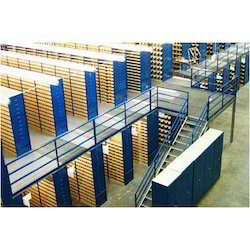 It is also known as a Higher Racking Storage system design to use the maximum Height of the Place. The systems is normally used in the Big Warehouse / Factories. Two Tier Storage Racking is ideal for ware houses and big industries where you get ample storage space in form of floors without wasting any storage space, this type of storage system can consume full space and can re-assembled when you need to shift your rented space. Looking for Two Tier Racks ?